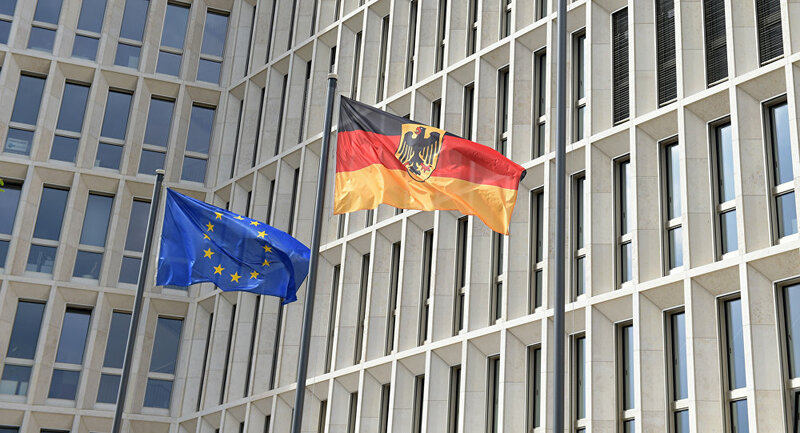 The German Interior Ministry will create a "Center of Defense Against Disinformation," ahead of next year’s parliamentary elections. The announcement follows the ongoing “fake news” hysteria in the United States, which has been blamed for Hillary Clinton’s loss to Donald Trump. German magazine Der Spiegel has reported that an Interior Ministry staff member told them that the creation of the center to combat “fake news” "should be negotiated very quickly.” The effort to set up this “ministry of truth” will be lead by the Federal Press Office, run by Chancellor Angela Merkel's spokesman. "The acceptance of a post-truth age would be equivalent to political capitulation," the Interior Ministry official said. The Ministry recommended "an intensification of political education work" specifically among “Russian-Germans” and people of Turkish origin. Oppermann specifically focused on Facebook, calling for the social-network platform to be penalized if they do not remove articles the government deems incorrect within a 24-hour period. "Facebook did not avail itself of the opportunity to regulate the issue of complaint management itself," Oppermann told Der Spiegel earlier this month. "Now market dominating platforms like Facebook will be legally required to build a legal protection office in Germany that is available 24 hours a day, 365 days a year." If the company fails to comply, he wants them to be subjected to stiff fines. "If, after appropriate examination, Facebook does not delete the offending message within 24 hours, it should expect individual fines of up to 500,000 euros ($523,320)," Oppermann continued. In George Orwell’s novel “1984,” a Ministry of Truth is in charge of the creation of propaganda. The Ministry had a famous message, “War is peace, freedom is slavery, ignorance is strength.” As the adage goes: 1984 was meant as a warning, not an instruction manual.